Customers have many reasons to be excited about the new 2018 Subaru Outback! This legendary vehicle has received new safety features, a more rugged styling, innovative media features, and a more premium interior. The infotainment systems have gained new capabilities, including Nuance voice recognition, Apple CarPlay, and Android Auto. There is also a newly available Steering Responsive LED Headlight system offered to increase visibility during night-time drives. The Subaru Outback continues to be an iconic crossover SUV, well-known for delivering unmatched capability and refinement. To see what 2018 has in store for this fan-favorite vehicle, continue reading below! The new 2018 Outback is powered with a standard DOCH 2.5-liter BOXER engine that can deliver 174 lb-ft of torque and 175 horsepower. The vehicle is equipped with an Active Grille Shutter system, which works to maximize fuel economy and reduce wind resistance. The available engine is a DOHC 3.6-liter 6-cylinder BOXER engine, and it provides 256 horsepower and 247 lb-ft of torque. All versions of the Outback are equipped with a Lineartronic Continuously Variable Transmission (CVT) that has paddle shift control switches and a seven-speed manual mode. Subaru has integrated the transmission with an electronic control unit (ECU) which helps to provide a smoother ride. Another highlight of the Outback is its standard Subaru Symmetrical All-Wheel Drive system and Active Torque Vectoring. To further improve capability, the Outback has an 8.7-inch ground clearance and a Vehicle Dynamics Control system that has Hill Descent Control, along with Hill Start Assist. Subaru offers their 2018 Outback in various configurations with a great lineup of trims. The 2018 Outback 2.5i features the 2.5-liter engine, and is offered in the standard, Premium, Limited, and Touring trims. The Outback 3.6R is powered by the 3.6-liter engine, and it can be purchased in the Limited or Touring trims. The Touring trim made its debut in 2017, and it quickly earned rave reviews for its luxury features and innovative safety systems. 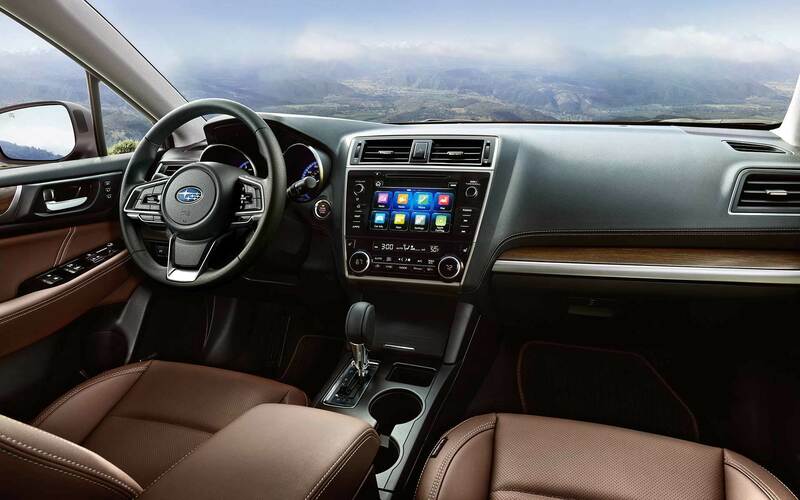 The new 2018 Outback is featured with the latest version of the SUBARU STARLINK multimedia system. This advanced system is offered in a variety of sizes, with the standard being an upgraded STARLINK 6.5-inch. There is also an available SUBARU STARLINK 8.0-inch system that now has smartphone-inspired operational features. The many media features found in the Outback include iPod control, Bluetooth wireless capability, Android Auto, and Apple CarPlay. Opting for the top system will further add the excellent TomTom navigational system, along with three years of free map updates. What generation is the Outback currently in? 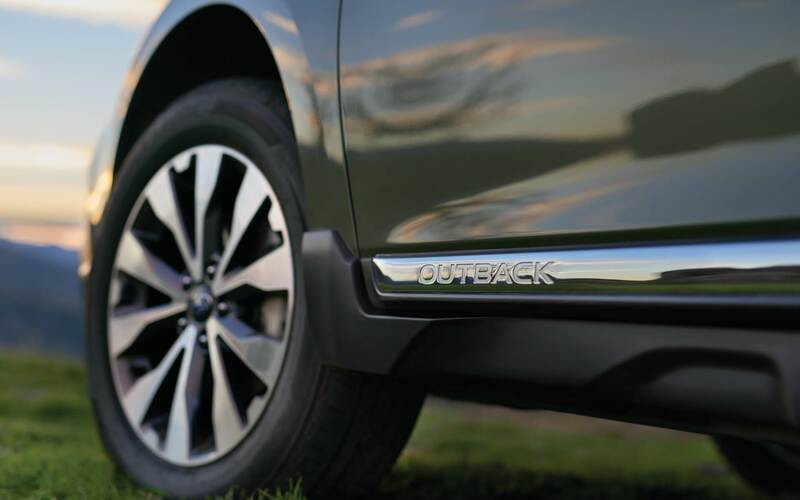 The 2018 model is part of the fifth generation of the iconic Outback! What if I need to drop my vehicle off after hours? If you need to drop your vehicle off outside of our regular hours, no problem! Just take advantage of our Early Bird Drop Off! How much cargo space is in the Outback? The new 2018 Outback has a maximum cargo space of 73.3 cubic feet when the rear seats are folded down! The Outback is offered with a thorough range of unique safety and security systems including the innovative EyeSight Driver Assist Technology. Most trims can be equipped with the EyeSight suite of safety systems, which will add Vehicle Lane Departure Warning, Adaptive Cruise Control, Pre-Collision Braking, Lane Change Assist, and Blind Spot Detection/Rear Cross Traffic Alert. Every 2018 Outback is equipped with a rearview camera, a Tire Pressure Monitoring system with individual wheel display, and a security system with an engine immobilizer. 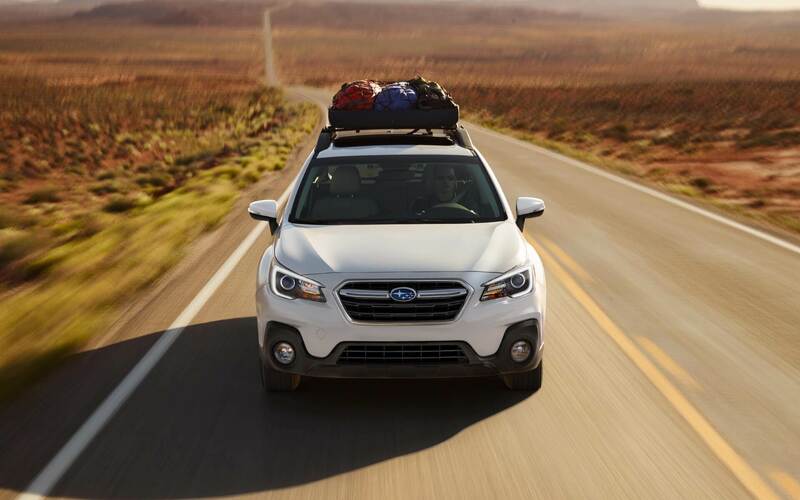 Schedule a test drive in a new Subaru Outback today at East Hills Subaru!